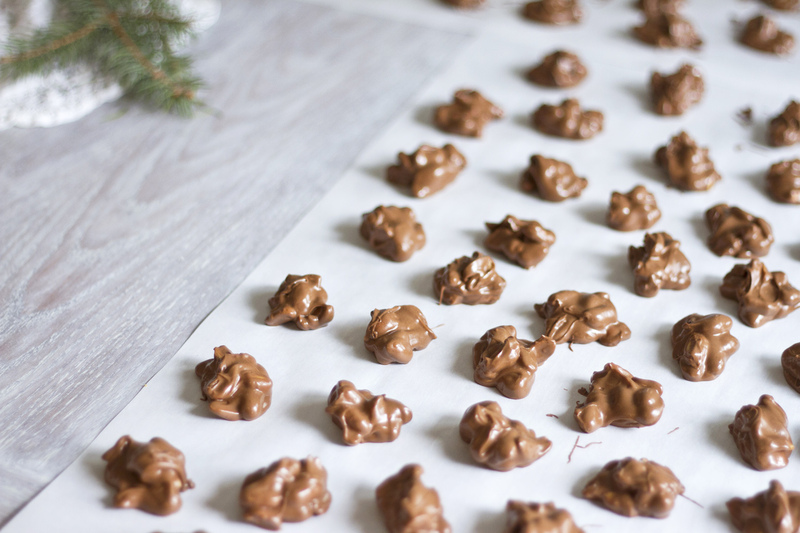 These easy peanut clusters will be on our treat plate for sure this year. There are only 4 ingredients, they are so quick & easy to make, & they are delicious. 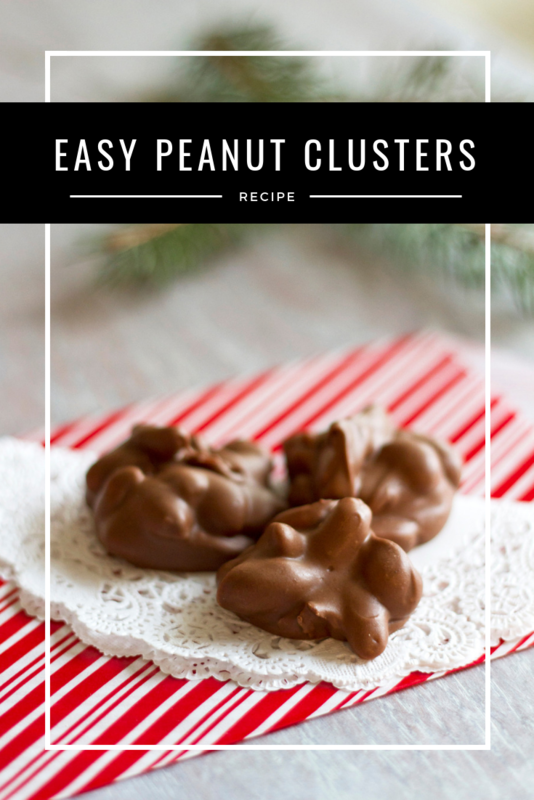 I have such great memories making these easy peanut clusters with my mom every year around the holidays. They are definitely a crowd pleaser! 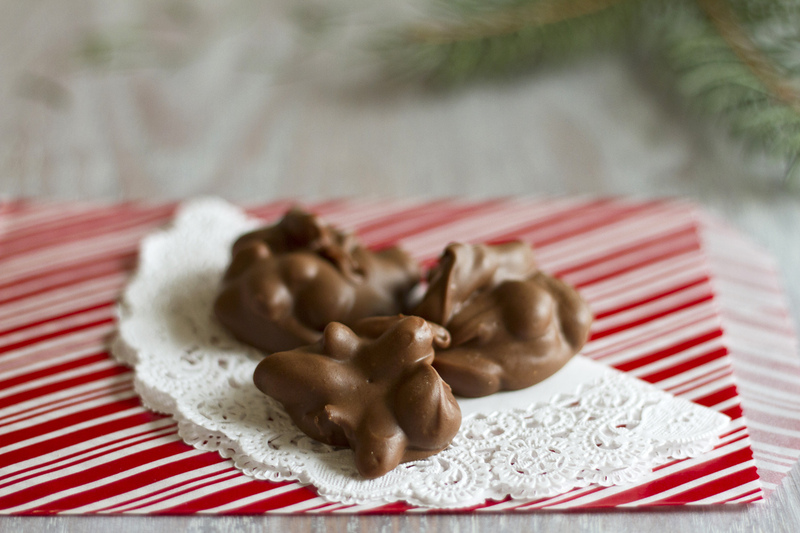 Since these easy peanut clusters are so simple to make, it is fun to let the kids take over. Start by melting the chips together. Heat in the microwave one minute at a time, stirring after each minute. Pour the melted chocolate mix into a bowl. 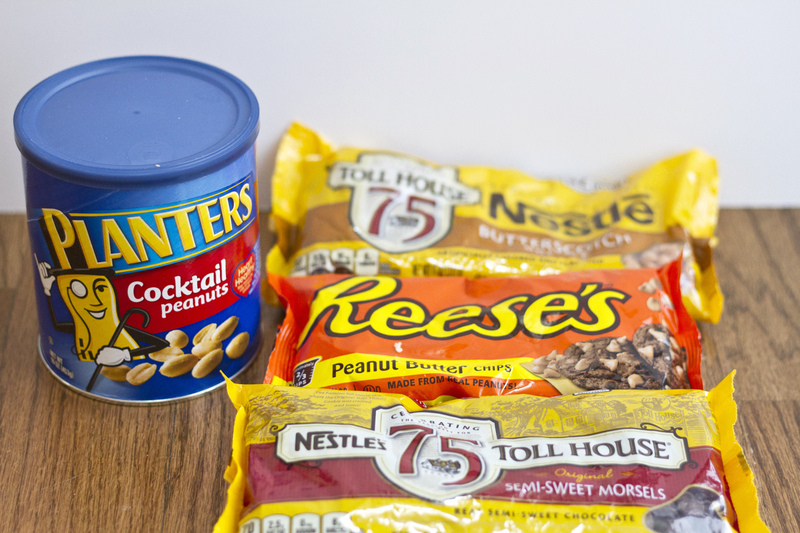 Add the entire jar of peanuts into the chocolate. I added 1 1/2 jars. Scoop a spoonful onto parchment paper and you’re done! They dry so quickly and are ready to be delivered! Makes approximately 50-60 medium sized clusters. 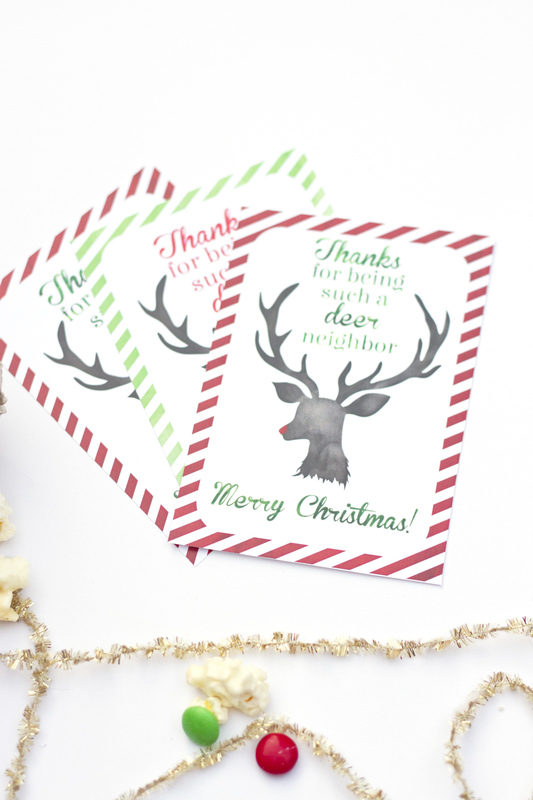 If you are looking for a darling neighbor/teacher/friend printable, come grab this one! Click here now for more Christmas essentials! !